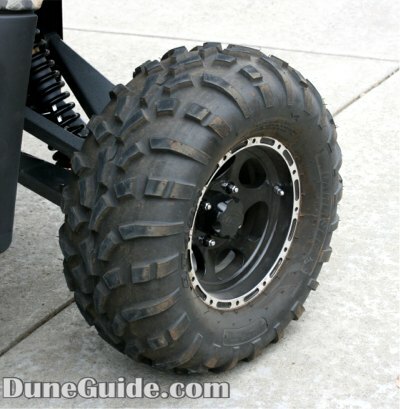 DuneGuide.com is in the process of building a Rhino up for dune and desert rides (more details). 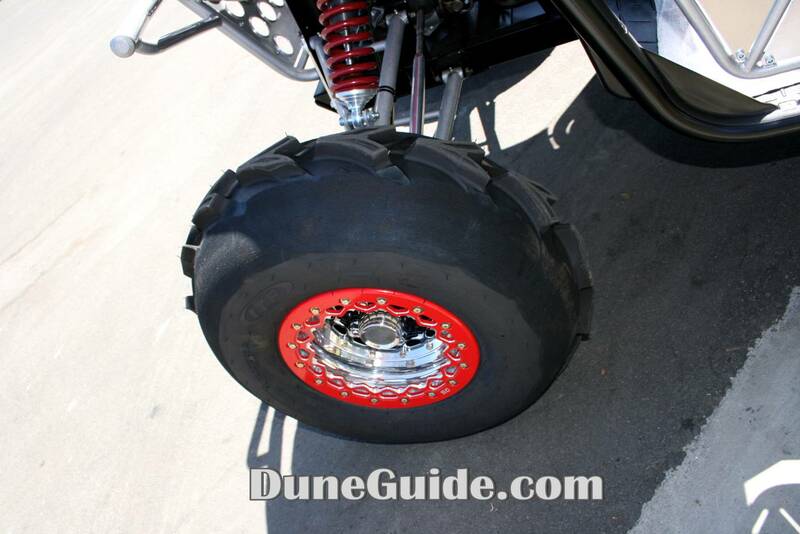 Our Rhino will appear in Product Reviews, Magazine articles and be part of many events at dunes throughout the United States. 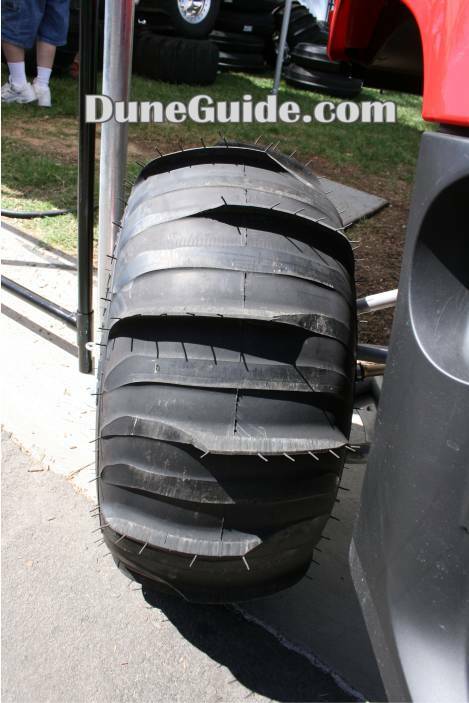 Stay tuned as we research and select the products that will be used. 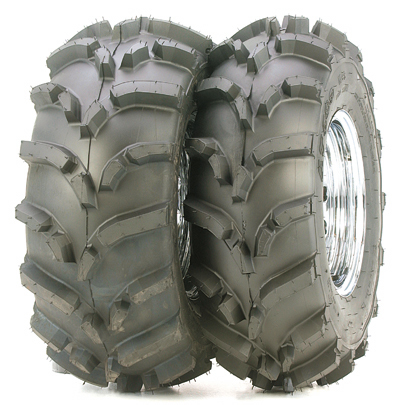 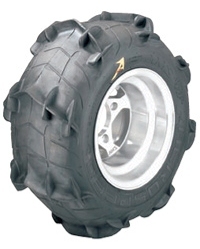 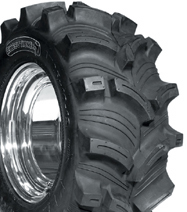 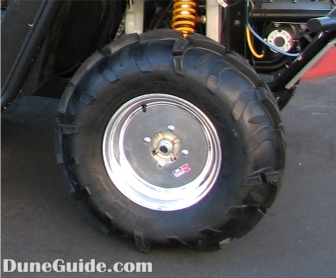 Selecting the right wheel and tire combination for varying terrain can be difficult. 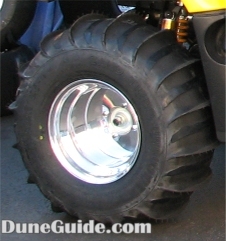 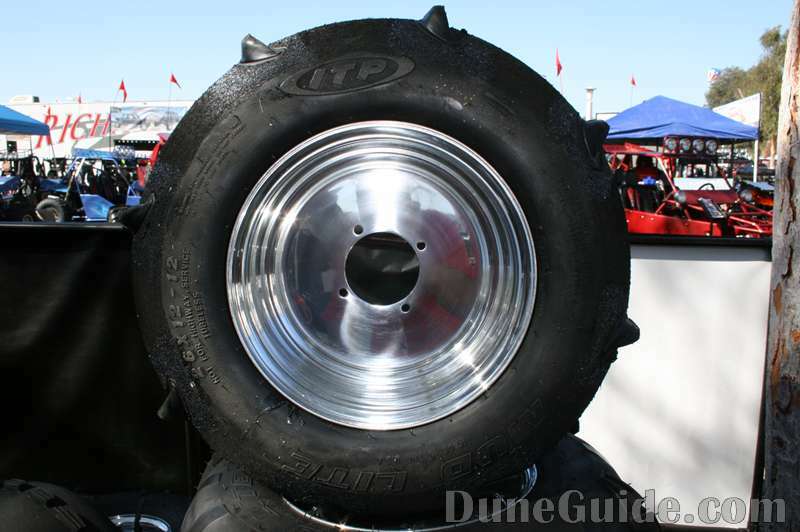 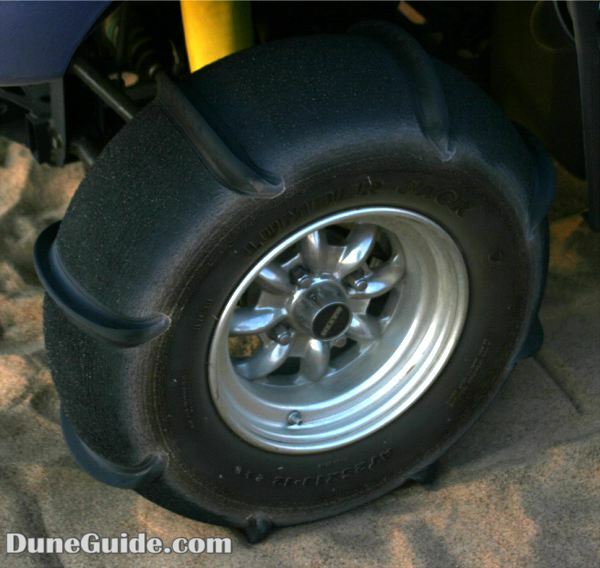 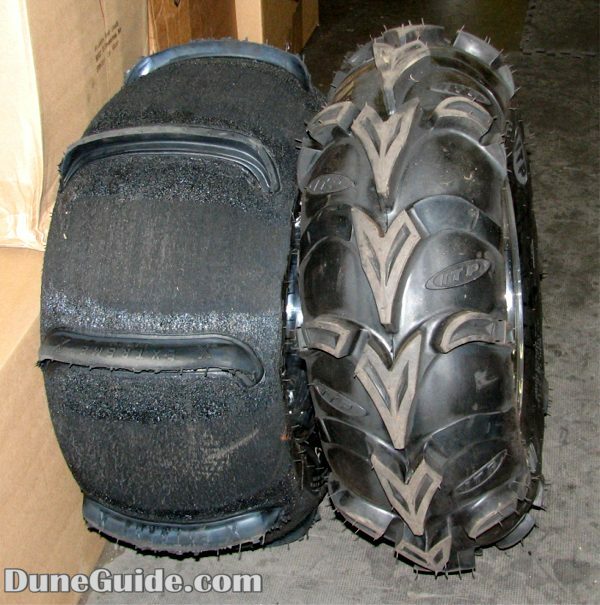 You wouldn't think of taking a paddle tire on a desert ride, and a normal knobby won't fair as well in the dunes. 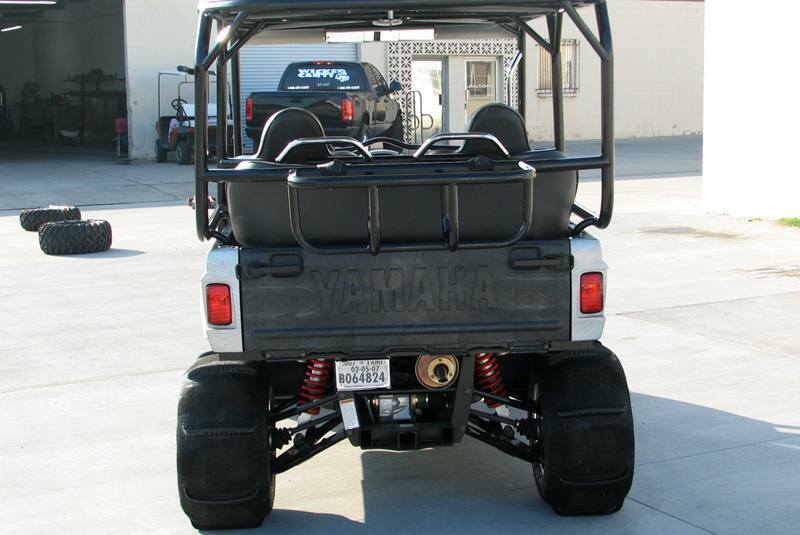 The Yamaha Rhino comes stock with 25x8-12 front tires and 25x10-12 rear tires. 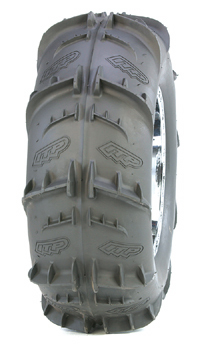 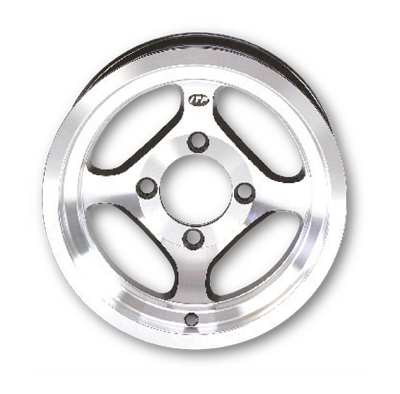 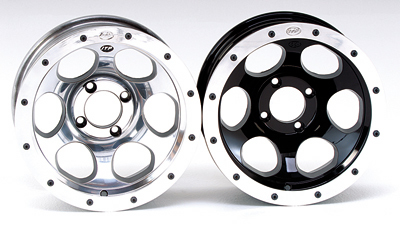 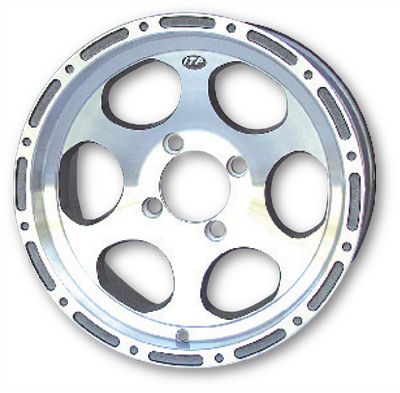 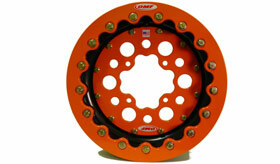 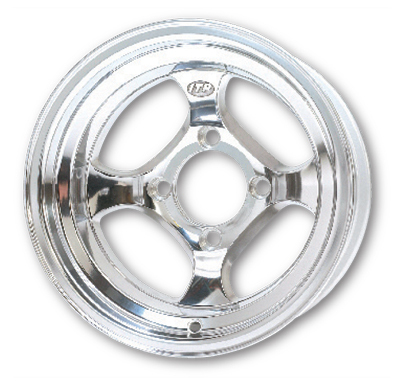 Stock wheel offset is close to a 5+2 that is available in the aftermarket, and the bolt pattern is 4/110. 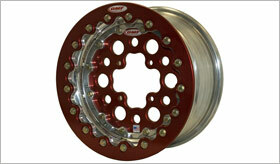 Some people will use a 2+5 offset wheel to increase the track width, but this does add more stress to the spindles. 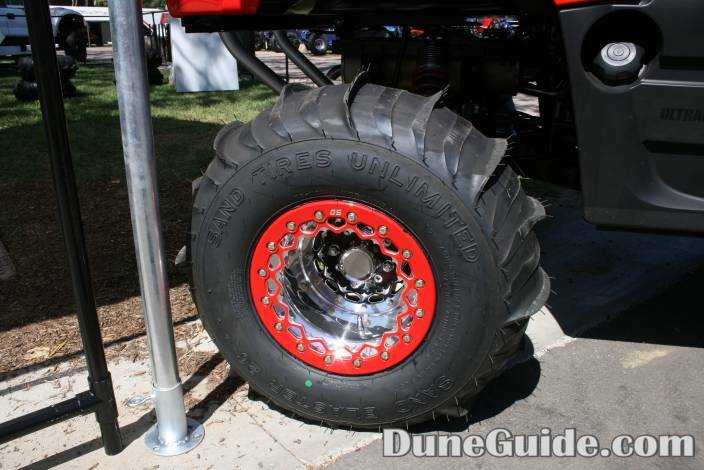 So if you want to drive in different types of terrain, you either need to get two sets of tires, or sacrifice. 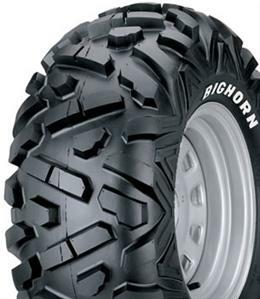 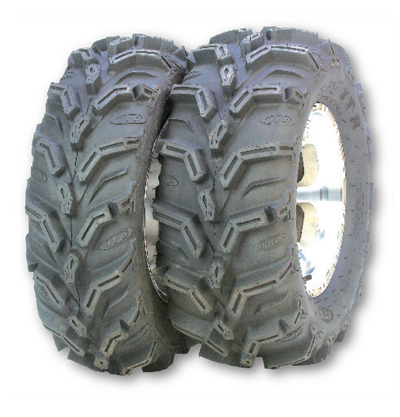 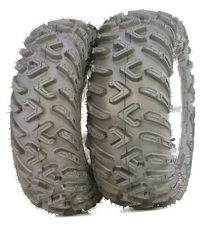 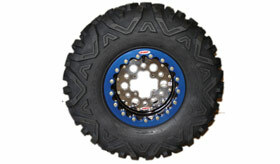 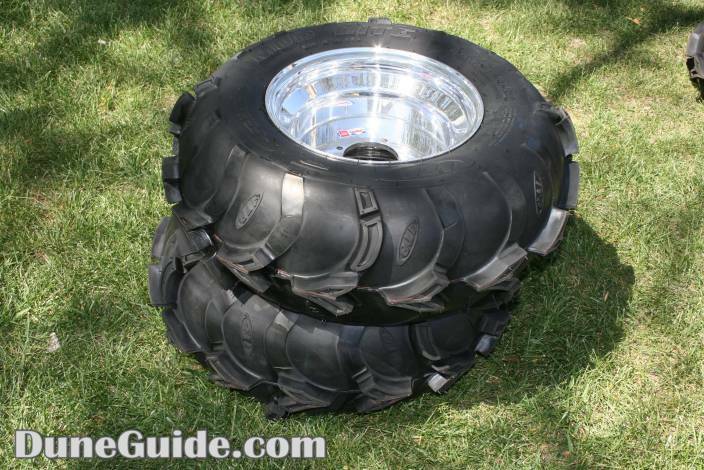 Since our Rhino will be seeing double duty, we will be looking for tires and wheels for each type of terrain. 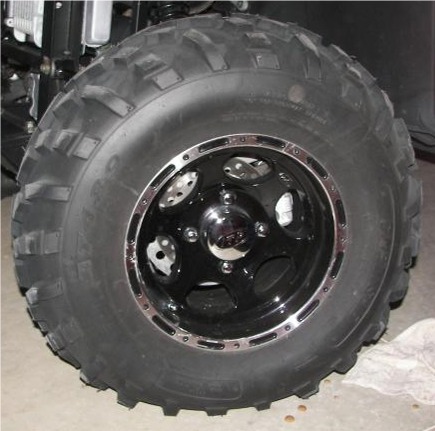 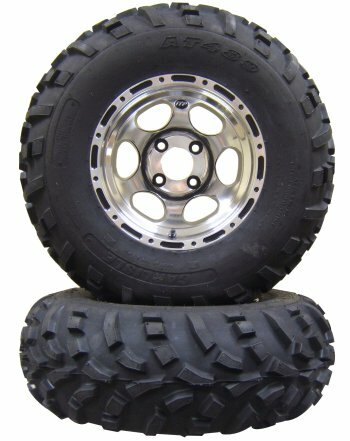 If you want a tire & wheel combo that will do both, it is our opinion that you should stick with 25" tires and not get tires and wheels that are too heavy. 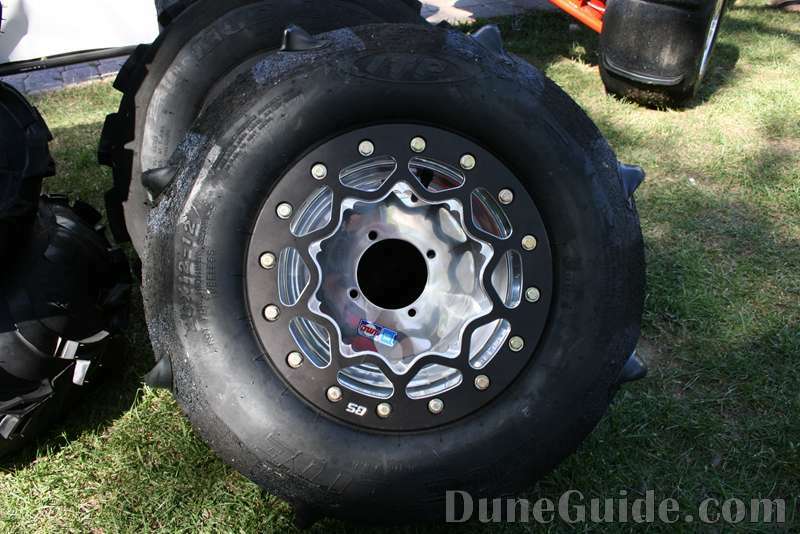 Otherwise the performance loss in the sand is not worth any benefit gained for dirt/rock terrain. 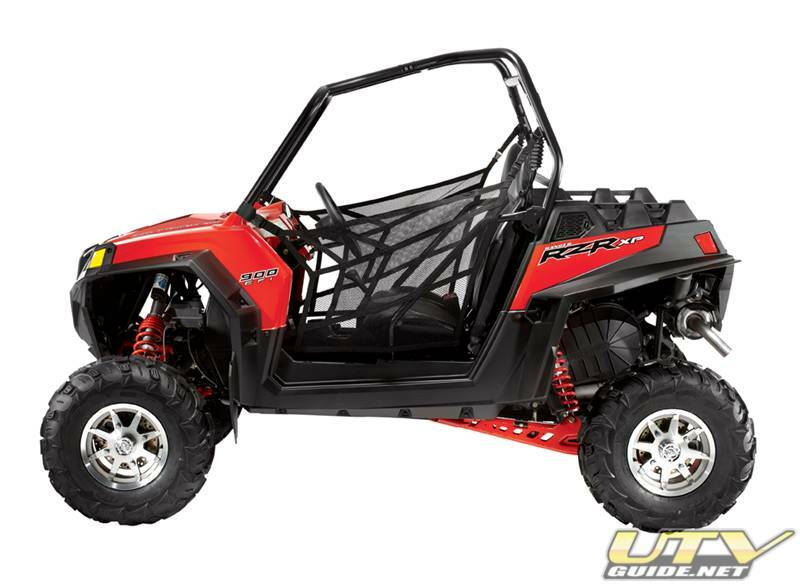 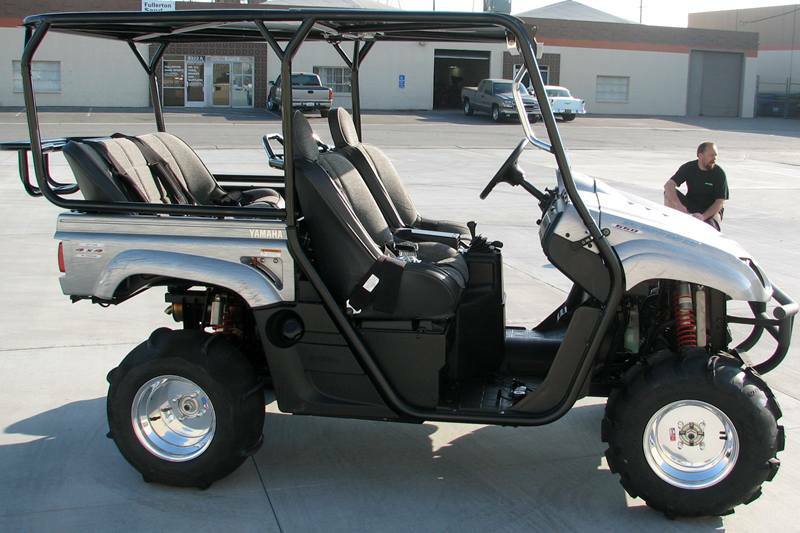 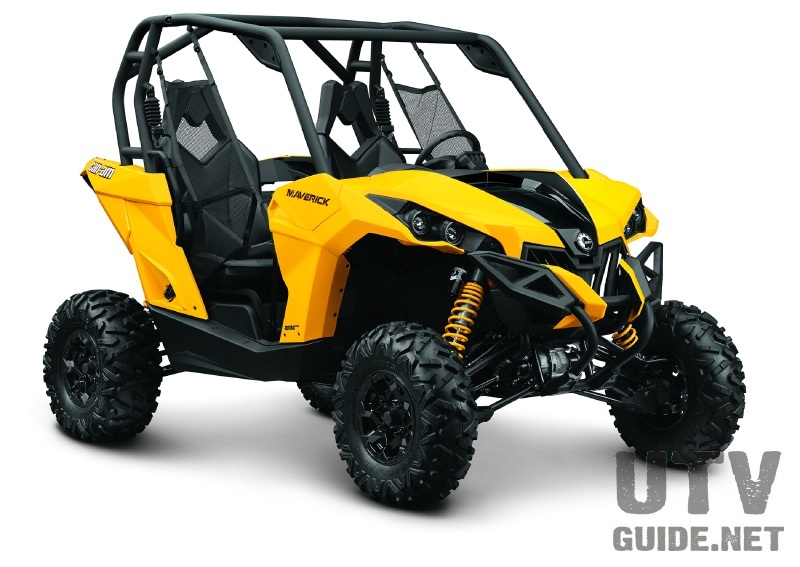 If you manufacture or sell parts and accessories for Yamaha Rhino's, and are interested in having your product be part of the Rhino Buildup, please send us an email .